Editors: Moran, Christopher R. and Murphy, Christopher J. 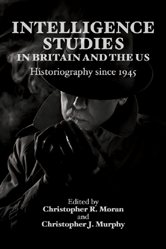 In this first introduction to these official and unofficial histories, a range of leading contributors narrate and interpret the development of intelligence studies as a discipline. Each chapter showcases new archival material, looking at a particular book or series of books and considering issues of production, censorship, representation and reception.